These items are generally made to order in Portugal. 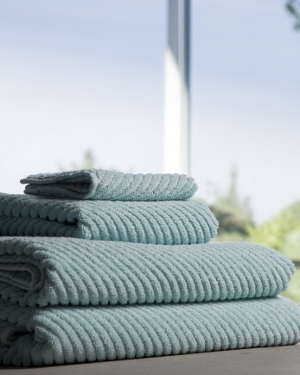 100% Egyptian Cotton is enhanced by pure linen. What is special about linen? Well, to start, it is gently exfoliating, ultra-breathable, and has nearly unsurpassed absorption properties. 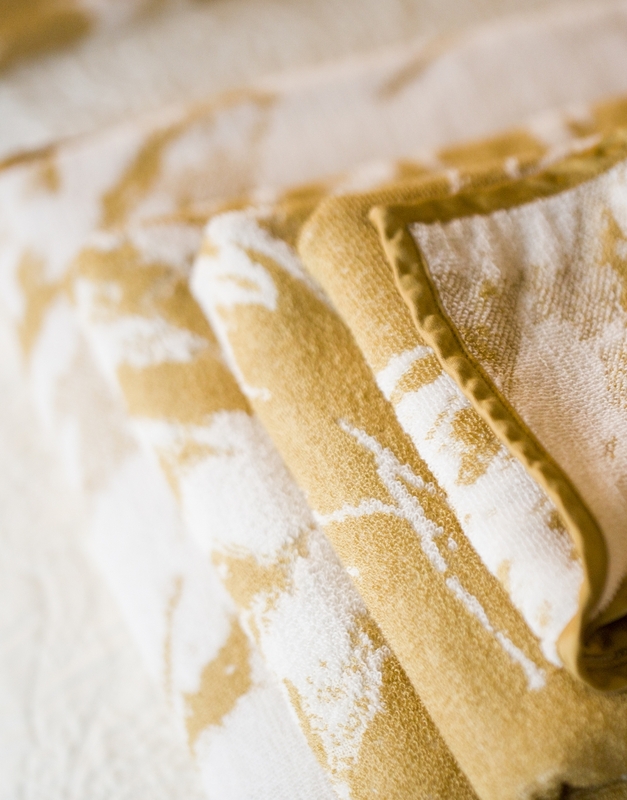 These towels consist of 35% Belgian Linen, as labeled by the "Masters of Linen." It enhances extra long staple Egyptian Cotton, the same cotton found in Abyss' flagship Super Pile towel. These towels feature a medium 550 gram weight (Super Pile towels, for reference, boast a 700 gram weight). And as with all Abyss towels, Lino is pre-shrunk and colorfast. The color scheme is reversible, as pictured, and is based on the natural color of linen. Nobody has commented on this product. Be the first! You do not need to be a customer to leave a comment. If you would like us to reply to a question privately, or if you would like to be notified about a reply, please provide an e-mail address or phone number. All comments are moderated by The Linen Tree. Your contact details will not be posted online except by request. Maximum length is 2000 characters. All comments are moderated by The Linen Tree. Contact details and spam will not be posted online. But do provide contact details if you want a direct reply.